Greenpeace wipe out bio-engineered crops and destroy research efforts that are designed to help develop crops to feed the starving. Ponder the irony: those who attack the new technology are called… progressive. In the end Greenpeace’s weak point is the poor science they depend on, which is based on hidden records and “no” debate. 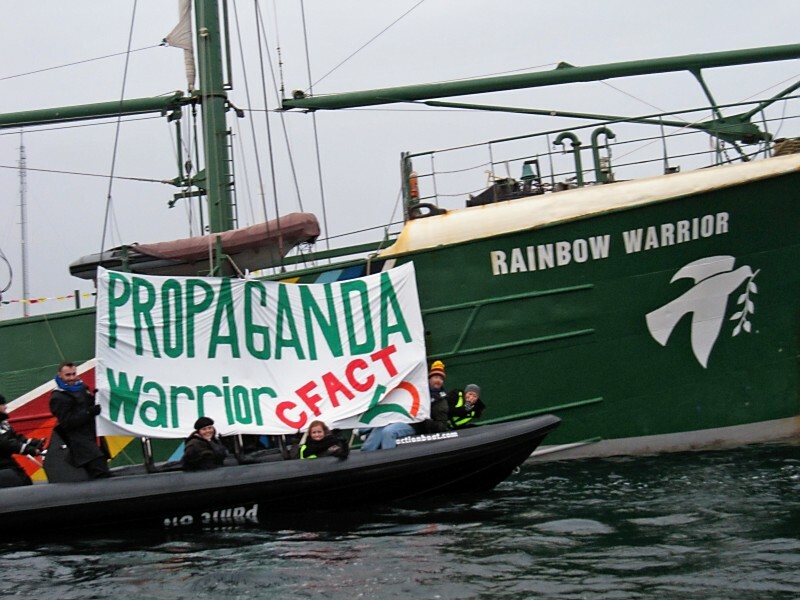 Because Greenpeace haven’t got the science right, they can’t properly figure out the risk-benefits of their actions. If they succeed in making energy more expensive, the people it will hurt the most are the people near or under the poverty line. If solar power was cheaper and better, we would all be using it already. If we subsidize it, we spend money on solar, rather than penicillin, clean water or books. Maybe solar is better. It would be a boon to make it work. But if we force people to use it we had better be sure that our decision adds up. Is $100 million in solar better than say, $60 million in coal and $40 million on reforestation? How can we know if we don’t have the global records for temperatures, if we can’t get the raw data to check, and if the scientists in control of the data secretly and artificially “adjust” their results? Science belongs to all of us. When corruption distorts it, we are all poorer.